A couple of days ago, the 2014 World League began with Bulgaria dueling off against the United States. USA and Bulgaria have previously met eleven times in the World League. Despite meeting each other numerous times, this World League is special for USA's newcomer Taylor Sander because it was his first time being part of the starting six and he helped USA win both their matches. Though "Taylor Sander" or "Sandman" may not be a household name on the international stage, it definitely is in the United States volleyball scene. Taylor Sander was born on April 17, 1992 in Fountain Valley, California. He first started playing volleyball in 1999, with Mavericks Volleyball Club. As he got older he accumulated impressive rewards including two third place finishes with his team Orange Coast Volleyball Club (15s and 16s), four-year letterwinner at Norco High School, three time high school MVP, Division III High School player of the year, and one CIF Southern Section Division III School Championship. Taylor was just as successful on the beach, winning every junior beach tournament from 14-18 years old with his parter John Caroompas. Taylor was also awarded the prestigious AAU junior beach Player of the Year, when he was only 15 years old. After having success with his high school, club, and beach career, Taylor moved on to play at Brigham Young University. With BYU, Taylor achieved a huge amount of success and stardom. He made a huge impact right away, during his freshmen year when he made the Mountain Pacific Sports Federation First Team. 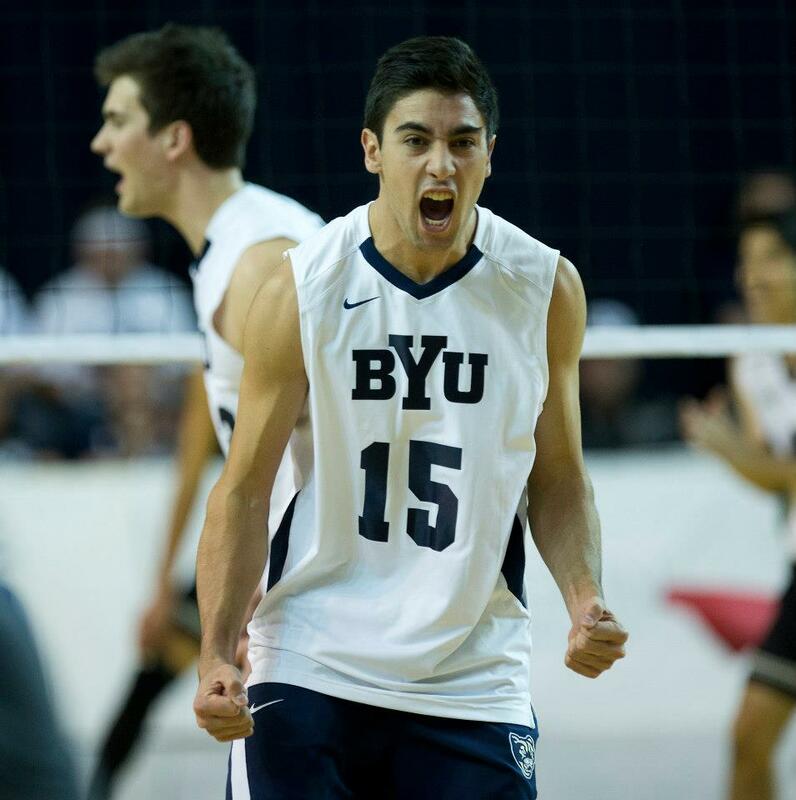 He was named MPSF Freshmen of the Year and that year he also won gold at the NORCECA Junior National Championships with team USA. After his first season at BYU, Taylor gained a large number of fans. They all created posters for him each game and nicknamed him "Sandman". During his years at BYU, Taylor achieved of being No. 1 at BYU in career kills (1,743), career attempts (3,464), career service aces (182), season attempts (1,021 in 2014), season service aces (55 in 2014) and aces in a match (nine). His records will surely remain unbeaten for a long time. In the World League, Taylor Sander started in both matches against Bulgaria. He had 20 points in the first match, where USA came back and won the match from a 2-0 deficit in sets. In the second match, USA won with a 3-1 score and Taylor had 15 points. The United States Men's National Team will continue to play the Intercontinental round against last years' gold medalist Russia. This match will take place in the Walter Pyramid at the California State University, Long Beach. These two strong teams will clash on the 6th and 7th of June. Be sure to watch these two epic matches and witness Taylor Sander in action!